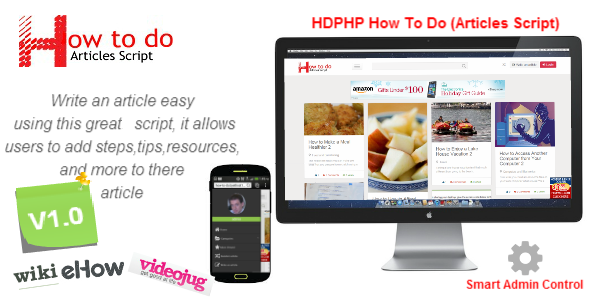 HDPHP How To Do Script is a Viral Articles Sharing Script. This script is so easy to install and customize to make it your own. Users can sign up with google account or any Email. This script allows users to Write and like Articles. this script allows users to add steps with images for the article,tips,warning,resources,youtube video and much much more.